Iowa State University received a A.
Washington Monthly's ranking of 45 out of 277 of National Universities - Overall Rank was a major contributor to this grade. With agriculture, science, and engineering programs among its strengths and an abundance of research resources, Iowa State University is a world-class institution. Also, Iowa State works hard to include the large number of older and otherwise non-traditional students on campus. Describe the type of student who should attend Iowa State University. Why? Someone who has the passion to learn and love for a faculty of teachers and assistants who really care about the students they are helping. What is a typical Iowa State University student like? Describe the type of person that should attend Iowa State University. What are the top 3 reasons someone should attend Iowa State University? What was a typical Iowa State University student like in high school? Describe the type of person that should attend Iowa State University. I would say that a Iowa State student in high school, was highly active in many extracurriculars, from sports, to drama, music, and FFA. They are studious and get good grades, maintaining a high academic standard. Has lavished attention on its park-like campus, located on a 1,984-acre tract in the middle of Ames. Iowa State offers more than 100 majors and pre-professional programs. Anyone earning a [Regent Admission Index] of at least 245 is automatically admitted. The math and science departments are also some of the best offered at a state university. Iowa State is an international, prestigious university with a friendly welcoming personality. More than 34,000 students choose from 100 majors, study with world-class scholars and hone their leadership skills in more than 800 student organizations. 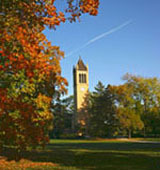 Iowa State offers a great environment where students can enjoy reaching their potential and discovering their passions. It's a culturally diverse student body with students from all 50 states and more than 110 countries. What are the top 3 things that students do for fun at Iowa State University? 1) Watch movies at our on campus "movie theater". 2) Get involved in clubs and greek life. 3) Hang out with friends. Campus housing is available for undergraduates. Housing deposit : $125.00. Housing deposit due : May 1. Housing deposit is partially refunded if student does not enroll.. Freshman allowed to have car. No pets. A program that focuses on the application of one or more forest-related sciences to the study of environmental factors affecting forests and the growth and management of forest resources. Includes instruction in forest biology, forest hydrology, forest mensuration, silviculture, forest soils, water resources, environmental science, forest resources management, and wood science. The average student pays $14,095 for tuition, fees, and other expenses, after grants and scholarships. Learn more about financial aid at http://www.financialaid.iastate.edu/. Estimate the net price for you at http://financialaid.iastate.edu/faq/cost-of-attendance.php. The typical (median) early career salary of Iowa State University graduates is $47,800, according to Payscale. Iowa State University participates in the NCAA Division I-A for college athletics. Want more info about Iowa State University? Get free advice from education experts and Noodle community members. how can i get a scholarship towards a graduate degree in biochemistry related disciplines?